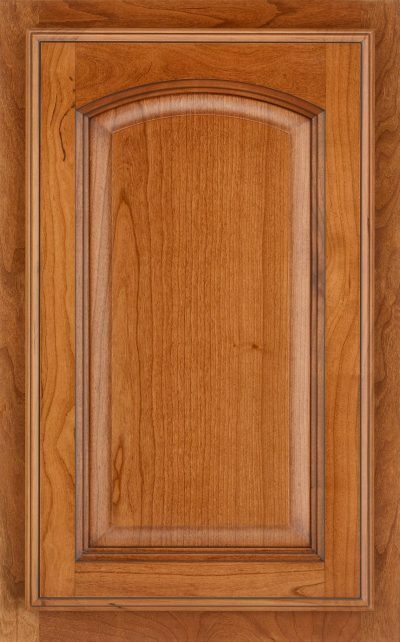 Door features eyebrow arch with mortise and tenon solid wood frame and veneer raised center panel. 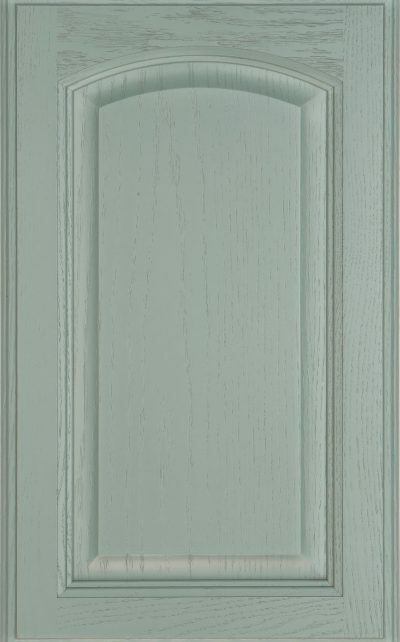 Orders in Monticello receive the Bristol door on 9″ wide wall cabinets, base cabinets and lower doors of tall cabinets. Vanity wall and vanity base cabinets receive arch design. 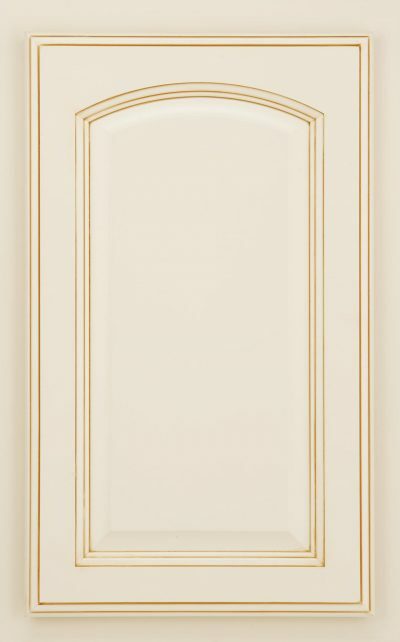 Both door and drawer fronts are designed with a back beveled profile to eliminate the need for decorative hardware; however, it is recommended for additional finish longevity.